If you want the best quality out of your audio CD music project, then you need to know these important do’s and don’ts of burning music into a CD. This is typically helpful for self-produced musicians that are producing their own music at home. 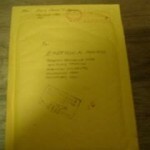 And you would like to create a CD that would be distributed for sale in gigs and independent store outlets. DON’T burn created music into a CD that does not undergo an audio mastering process. Take note that this is only applicable if you are the one creating the sound recording and mixing of the song. DO prepare your music to have that broadcast quality sound, format and optimum loudness before finally burning it into a CD. This is only possible through an audio mastering process. Audio mastering is a process of conditioning your finished mix/recording so that it will have attained the optimum loudness, sonic characteristics and format appropriate for distribution and broadcasting. The recommendation is to have your mix professionally mastered before you will be burning it into a CD. You can find a lot of quality mastering engineers in this Gearslutz forum. You can also read this tutorial on characterizing a professionally mastered CD. DON’T burn mp3 format into an audio CD if you want the best quality results. 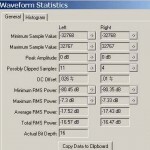 DO use only the original 16-bit/44.1KHz stereo WAV format as a source when creating an audio CD. 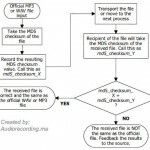 MP3 can be used to create an audio CD. But if you want the best audio quality, you should only burn the 16-bit/44.1KHz stereo WAV version of the song and not the MP3 version. The primary reason is that MP3 is a lossy format; it is already compressed and won’t sound as good as the lossless WAV file. Bear in mind that you also don’t get the sound quality benefit if you are converting MP3 to WAV first before burning into a CD. It is because your audio source is already in lossy format. There is no way to make it sound like the original wav file except to rip the song from the original artist album CD. DON’T ripped audio CD tracks as MP3 (or to other lossy audio file formats), if you want to use this audio file as one of the tracks in creating another audio CD. DO only ripped audio CD tracks in 16-bit/44.1KHz stereo WAV file format. If you are compiling music into a CD for personal purposes and then you want the best sounding audio CD compilation. You need to have the entire original WAV version (in 16-bit/44.1KHz stereo WAV) of the songs that you will add to your CD project. This high quality WAV file can only found in the official artist CD album and not in the downloaded MP3 version you bought in iTunes or somewhere else. DON’T burn at the fastest CD writing speed supported by your CD/DVD drive. DO burn at 4X to 10X speed – the slower the better with 4X as the optimum. CD burning/writing is a process of writing digital data from your computer hard drive to the blank CD-R in your optical drive. The primary reason why you should not be writing at the fastest burning speed is to reduce errors in the process. This can affect the resulting audio quality of the CD project. 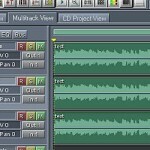 Critical audio CD projects such as those in the major and independent labels album project are typically burn at a slow CD writing speed of 4X. This will produce an error-free CD master. This will be used in the CD replication process to mass-produced CD’s for distribution. Whatever CD writing software or optical drive you are using; set them at 4X (recommended) to 10X (maximum). DON’T burn your music into a cheap and poor quality blank CD-R, if you want to last your CD in a longer period. DO use only high quality CD-R.
Once your digital audio data are burn into the CD-R; the reliability depends on the quality of the CD-R you are using. The most recommended CD-R brand is Taiyo Yuden and TDK. It is because they are known for their very low error bit rate and reliability that is tested to last more than 100 years.